Gibson produced the "Firebird 76" model guitars from 1976 to 1979. Of the 4 finishes that were available, WHITE was the least produced color, making it the Rarest OF THE 4 finishes. 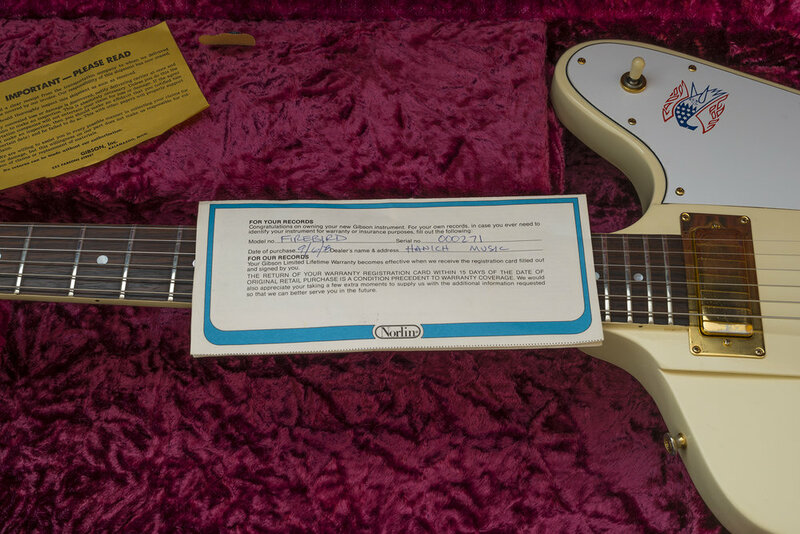 There were a total of 2847 Firebird 76 guitars shipped during the 4-year production, while only 148 White ones were ever produced, and just 127 White examples shipped in 1977. 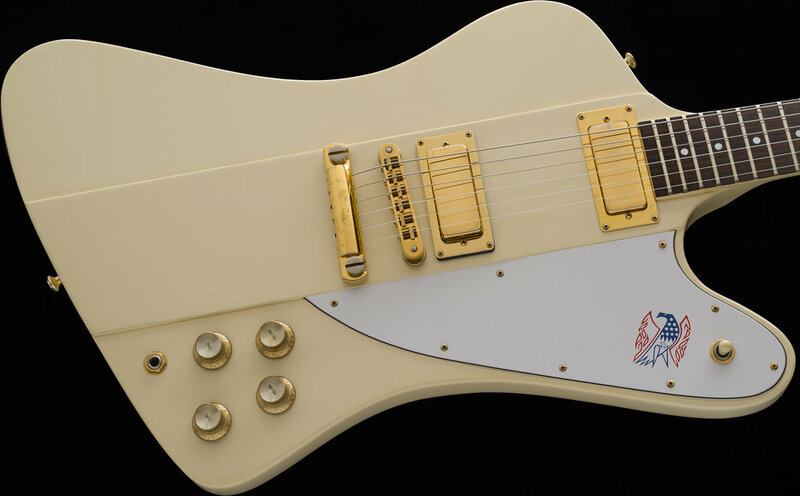 This Firebird 76 model was a Limited Edition guitar and was built to commemorate the USA's 200th birthday! I have examined, tested, serviced and set-up this instrument and found it to be factory-correct and unmolested. 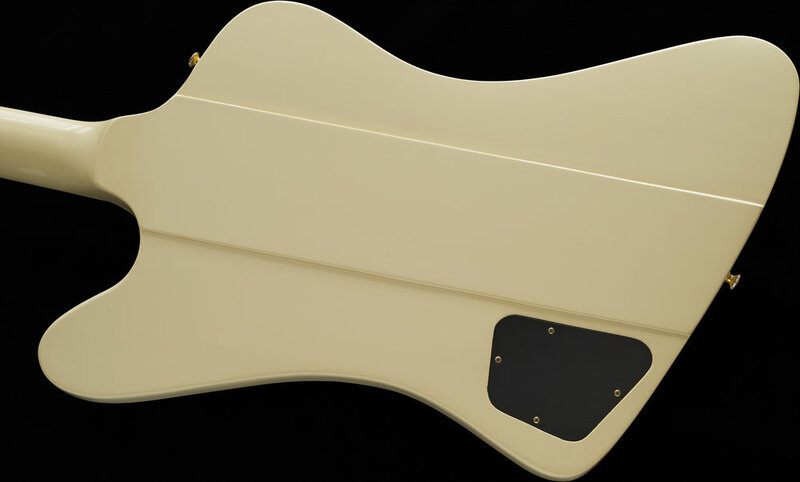 All of the electronics, frets, nut, finish, tuners and both the plastic and gold-plated metal hardware are all correct and original to the guitar. 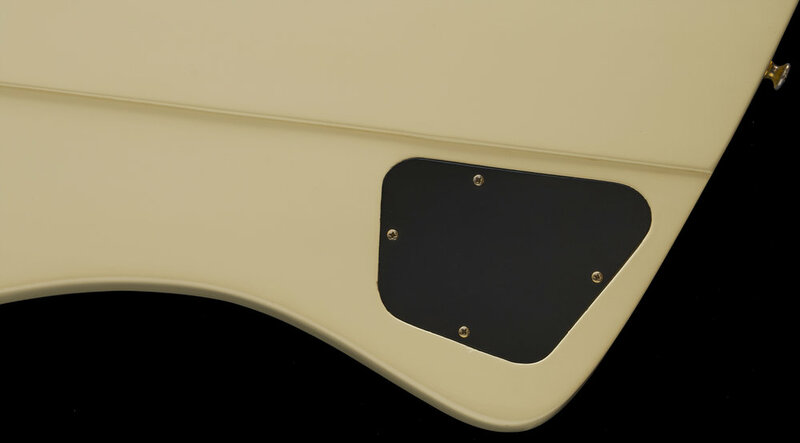 In the spirit of full disclosure, there is a replacement set of genuine Gibson brand gold reflector knobs that I've just installed. It came to me with a non-original set of Speed Knobs, which are not correct; otherwise, it is Factory-Original in every other way. The gold-plated hardware exhibits some very minor wear, which my large and clear photographs show. Interestingly, the thinly applied White paint (which is unusual for a Norlin-produced instrument from this period) is clean and free of finish checking or significant signs of human contact. If held at an angle to the reflected light, the Mahogany wood grain can be seen under the "thin" finish, and I've included 2 photos that demonstrate this if you care to review pictures 16 and 17. Before my acquisition of it, the guitar was sparingly played (likely at home) for a short period of time. This was likely when it was new and has not been used since. Due to the limited usage and exposure, the white finish has not discolored or yellowed and is a beautiful and even hued parchment white color. The 4 potentiometers are matched and dated the 18th week of 1977. The CASE is the factory-issued original Plush Lined hard shell and features a Black Tolex exterior with a soft "Regal" Purple lining and is in excellent, matching condition with a fully functioning handle, latches, and hinges. I acquired this guitar approximately 25 years ago and found it very attractive and decided to hang onto it. The guitar is now 41 years old and has been in my collection since purchasing it and has spared all of the "circulation" that most Vintage instruments being offered online today have undergone. The factory warranty card is included and displays the original, matching serial number and the issuing Gibson dealer's store name. Uncirculated and crisp examples of this caliber are very hard to come by all these years later. This guitar is in pristine, well-preserved condition and may appeal to other discerning collectors. If you have any questions or interest, kindly do inquire.